There’s something romantic about winter. Perhaps it’s the cold, leading couples to enjoy nights snuggled up by the fire, or the delight of eating fresh-baked warm treats while watching the snowfall. One of the best ways to capitalize on the romance of winter is to enjoy a date night with your sweetheart. 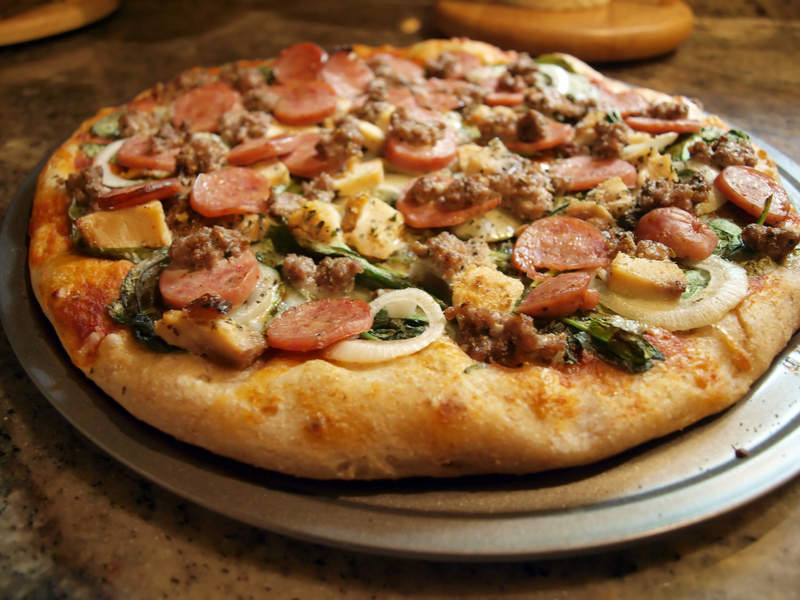 Instead of planning a night out, surprise them with a casual but romantic night in with carryout pizza and the works. Here are three tips to make it happen. Everyone loves a good Netflix and chill session. Unfortunately, as sweet as it can be to cuddle up on the couch with your partner while watching a good movie, for many couples, the enjoyment is postponed by hours of searching for the perfect mutually-agreeable film. Instead of debating who will pick what, do your research and see what movies are trending. Or, alternatively, look up some hidden gems. Then, select which of these titles you think you and your partner will enjoy most and add it to the queue. No date night would be complete without dinner. But going out can be expensive, and it requires leaving the house, which isn’t always ideal, especially in the middle of a New York winter. Instead, let your loved one stay cozy while saving yourself the hassle of cooking. Order a carryout pizza or have it delivered. While you’re waiting for the pizza to be prepared, swing by the store to pick up a bottle of wine and some flowers. If possible, find out your sweetheart’s favorite flowers ahead of time. Otherwise, roses are always a good choice. Consider picking up some ice cream or chocolate as well for dessert. Time it so you arrive home just before your date, pizza, flowers, wine, and chocolate in hand. If you’re in the Bronx, NY, and looking for carryout pizza to complete your date night menu, turn to Emilio’s of Morris Park. This locally-owned and operated pizzeria has been serving up delicious carryout pizza, calzones, and sandwiches for years. Call (718) 822-6758 to order a meal today. Or, download their convenient app by texting 33733. You can also visit their website to view their menu and see specials.